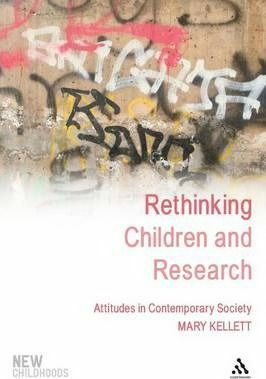 Description: "Rethinking Children and Research" considers the way people approach research into childhood and children's lives and examines the debates concerning the forms and goals of such research. Theoretical and practice-based perspectives are discussed in the context of recent key developments in research theory and philosophy of children. Mary Kellet promotes the idea that researchers should listen to the voices and perspectives of children as experts on their own lives, and offers insights and guidance on approaches to research design, implementation and presentation. Recent debates and developments are considered, including ethics, approaching research with children from a child-rights framework, and rethinking the power dynamic within research relationships with children. "Rethinking Children and Research" is essential for studying childhood and undergraduate or postgraduate level, and will be of interest to all involved with research into childhood and children's lives in the areas of education, health and social services. Is childhood changing? What effects are new ideas about childhood having on children's lives?